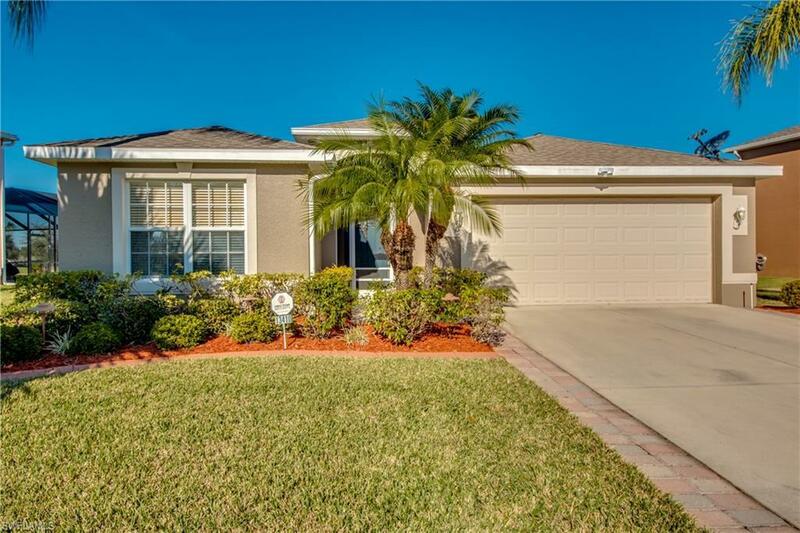 13410 Hampton Park Ct, Fort Myers, FL.| MLS# 219005340 | Southwest Florida Residential Real Estate for Sale. Your perfect Gateway pool home awaits you. From the moment you arrive, the meticulous upkeep and tasteful attention to detail is obvious. The beautiful Bismark palm crowns the lush landscaping. The journey continues as you step through the front doors to see the wainscoting that accents the freshly painted walls. Hard flooring runs throughout the entire home with premium hand scraped laminate in all the bedrooms. Inside the kitchen boasts expansive cabinetry and the new slate finish GE appliances. Next up are the beautifully upgraded bathrooms. Custom tile work with glass waterfall tile in the showers, Toto toilets, Premium Moen fixtures and stunning level three granite give them the wow factor you deserve. Need a little tech to top it off. How about the surround sound, Nest thermostat and top of the line Vector security system. All of this and the best is yet to come. Step outside to the lanai and the stunning kidney shaped pool looks out over the expansive lake featuring not one but two beautiful fountains. Of course the pool has a new heater, salt water chlorination and even an acid dispensing system to take all the work and guesswork out of keeping the pool crystal clear.